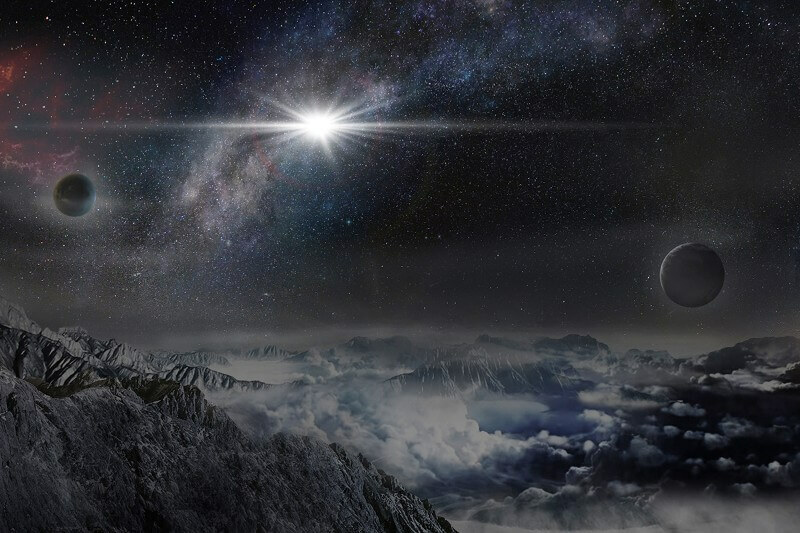 The brightest supernova ever seen has been confirmed, but it still has astronomers puzzling over what unknown type of star could have been responsible. Supernovas mark the violent deaths of stars that collapse on themselves and blow up. They are some of the brightest and most energetic objects in the universe. This one, called ASASSN-15lh, is about 3.8 billion light years away, 200 times more powerful than most supernovas, and twice as bright as the previous record holder. It shines 20 times brighter than the combined output of the Milky Way’s 100 billion stars, and in the last six months, it has spewed as much energy as the sun would in 10 lifetimes, says Krzysztof Stanek of the Ohio State University, co-principal investigator of the All Sky Automated Survey for SuperNovae (ASAS-SN) network that spotted the explosion. He spotted the outburst on 14 June while perusing telescope images over his morning coffee, and alerted the rest of the ASAS-SN team, including Subo Dong at the Kavli Institute for Astronomy and Astrophysics at Peking University. Dong quickly signalled a network of amateur astronomers who help the team confirm possible supernovae, and received some images that night. The team suspected it was a rare “superluminous” supernova, but the 14-centimetre ASAS-SN telescopes were too small to see the details required to be sure. Bad weather and problems with instruments delayed further investigation by 10 days. Finally the Southern African Large Telescope revealed details about the star’s chemical makeup when it exploded, allowing Dong to calculate its distance and confirm that the object was the brightest supernova ever recorded. It was 2 am in Beijing when Dong received these results, “but I was too excited to sleep the rest of the night”, he says. The supernova appears to be in an old, large galaxy that is bigger and brighter than the Milky Way, which is unusual because the handful of other known superluminous supernovas have been found in dim, small and young galaxies. It’s also much hotter than other stellar explosions. Those oddities mean astronomers are not totally sure what it is, Stanek says. It might be a different exotic object called a magnetar, a special kind of neutron star with an intense magnetic field. But ASASSN-15lh is more powerful than magnetars can possibly become, so that seems unlikely, says Steve Rodney at the University of South Carolina. It could also be the remains of a star being pulled apart by a supermassive black hole, or an ordinary supernova that is being magnified by a cosmic lens, an effect of gravity. But both of those theories are unlikely: the explosion lacks the hydrogen and helium that would be the hallmarks of a black hole’s lunch, and the explosion’s relatively close distance makes lensing implausible. ASASSN-15lh has just moved behind the sun, but astronomers have been taking new data until this week with the space-based Swift Gamma Ray Burst Explorer. The team was awarded time on the Hubble Space Telescope and hope to use it in a couple months – after the object fades a little bit, so the telescope can see its host galaxy in better detail. The Hubble observations will give astronomers more insight into the strange object’s origins. Stanek says he’s eager to hear new theories about what it could be.